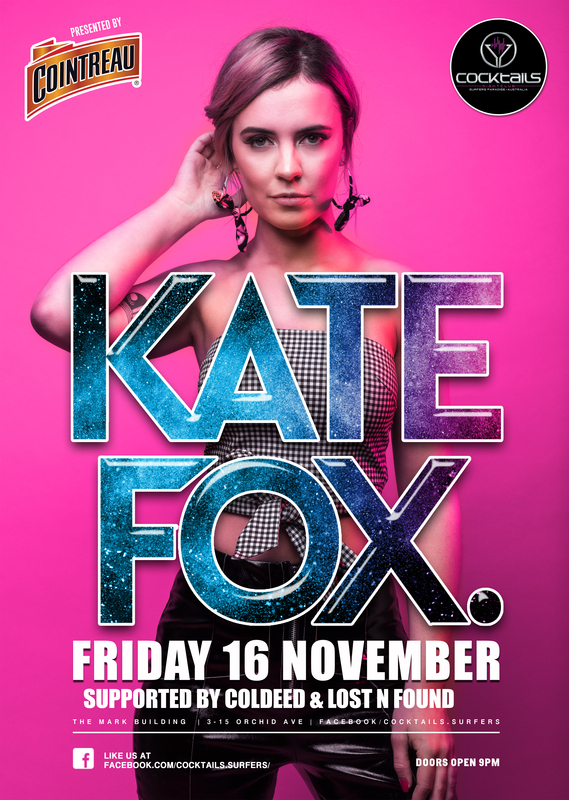 Cocktails is so excited to announce Kate Fox as our next guest DJ! This triple-threat beauty is a master at singing, songwriting and DJ-ing, and consistently avoids the generic banger! Kate Fox blends genres and blurs the lines of commercial, classics and hidden treasures that are sure to entertain a whole crowd.